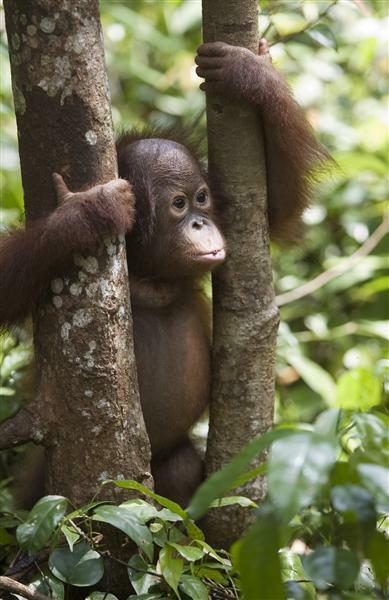 Jakarta, 26 February 2014 – Procter & Gamble, which makes Head & Shoulders, is sourcing palm oil from companies connected to substantial clearance of endangered orangutan habitat in Indonesia. That's according to findings from a year-long investigation by Greenpeace International, which also reveals that multiple traders supplying P&G with palm oil buy from a company whose operations are implicated in a police investigation of numerous orangutan deaths, near to Tanjung Puting National Park. A baby Orangutan plays at the Borneo Orangutan Survival Foundation (BOS). The clearing of the land for palm oil is a threat to wildlife in the area, including these orangutans that have been rescued because their natural habitat has been destroyed. Land used for palm oil cultivation owned by the BW Plantation Group, a company connected to P&G’s supply chain, was investigated over the course of several field trips. Greenpeace investigators documented an orangutan skull buried in a shallow grave within sight of Tanjung Puting National Park (which is famous for orangutan conservation) and further orangutan remains several months later. 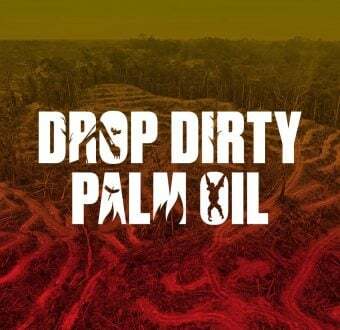 “Progressive palm oil producers in the Palm Oil Innovation Group, along with ambitious commitments from big palm oil players Golden Agri-Resources and Wilmar, prove that there is a business case for responsible palm oil. There is no excuse for companies like P&G, as well as Reckitt Benckiser and Colgate-Palmolive to delay immediate action on deforestation,” said Bustar Maitar, Head of the Greenpeace Indonesian Forest Campaign. Indonesia’s forests are disappearing at a rate of more than nine Olympic swimming pools each minute, with palm oil being the biggest driver of forest destruction. Through a global campaign launched today, Greenpeace is demanding Procter & Gamble end its role in forest destruction.